We may be done with the 2023 Extra Elite 100 rankings for now, but that doesn’t mean we’re done with profiling top players and teams from that class! 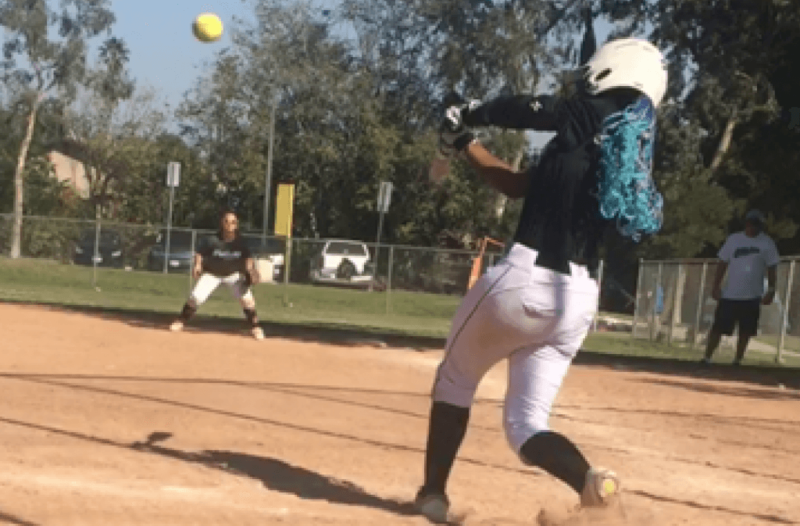 Today we spotlight one of the top power-hitters from the age division and a great example of dedication to being the best she can be. 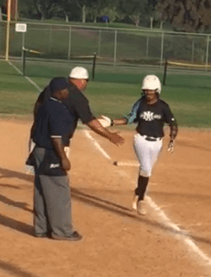 A common site in Athletics - Mercado/Hovermale games: a home run high-five! 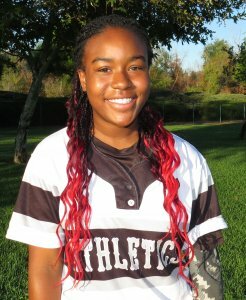 Karis Ford lives in Nipomo, California—a small town of about 1,700 in San Luis Obispo County, about four hours by car north of Los Angeles, which is where her Athletics – Mercado/Hovermale 14U team is based. So how does Karis make it work? Now, that is dedication for the slugging third baseman (and her family, we must add!) who, just last weekend, hit a 250-foot line drive that was about 12 feet off the ground the whole way and would have gone further, except it smashed into a fence that protected cars in the parking lot! Where you happy or bummed when the Early Recruiting Rules came out and meant you couldn’t be recruited and/or commit until shortly before the start of your junior year of high school? I didn’t mind it too much. I felt a lot less pressure knowing I had more time to mature before making such a huge decision. What would you say has been the biggest key to your becoming the successful softball player you are today? My faith and walk with God, the sacrifices my family has made for me and my amazing Athletics – Mercado family. Karis goes opposite field for a homer. 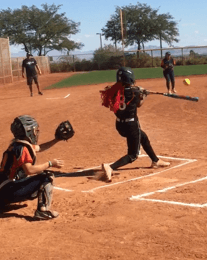 When was this first time you realized that you really loved softball and what triggered that feeling? When I first got on Athletics – Mercado. On other teams, I never felt as comfortable as I do on this team because they make playing softball fun and being with them made me love the sport. What are you looking forward to most this upcoming summer? Talking recruiting, have you started thinking about colleges you’ll consider and have you visited or camped at any schools?